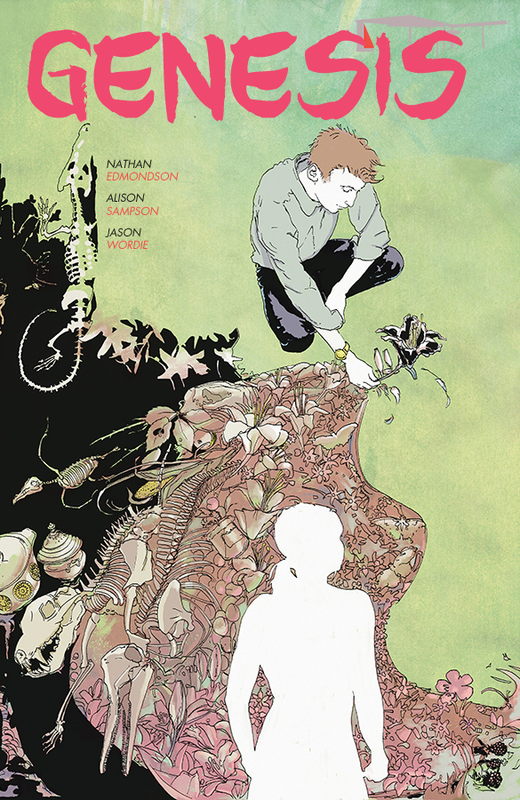 Writer Nathan Edmondson and artist Alison Sampson’s Genesis is a contemporary parable replete with contrasts and dualities. At its heart, admittedly, lies a very simple idea – one that has hardly gone unexamined in genre fiction it’s true: what if you were given the ability to shape all of time and space to your will at the merest whim? Would you bend reality… or would reality bend you? It’s how that core conceit is executed that makes Genesis such a thought-provoking read and a moral object lesson on the dangers of absolute control. This is also an old school, complete-in-an-issue, one-shot of the type which we see so little of in these days where writing for the trade and an eye on an eventual collected edition has become far, far too prevalent. Hulk relaunches this Wednesday, with this latest reiteration of the not-so-Jolly Green Giant as part of the “All-New Marvel NOW!” initiative. The comic follows on from Indestructible Hulk, where a solution to Banner’s eternal dilemma seemed to be in his grasp – funding from S.H.I.E.L.D for his experiments and an outlet for the Angry One’s rage through S.H.I.E.L.D strategic beat-em-ups. Great! But then it all went a bit pear-shaped. Banner was shot and now his life hangs in the balance. Who would do this and why? 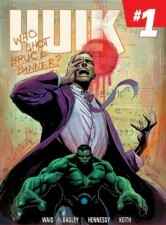 Hulk #1 promises some answers and a mighty revelation to keep readers wanting more. Mark Waid’s still on board for this, as he welcomes the rather-awesome-to-look-at art of Mark Bagley (Ultimate Spider-Man). Translucid is a story about villain and hero – and what those word actually mean. From Claudio Sanchez and Chondra Echert, the BOOM! 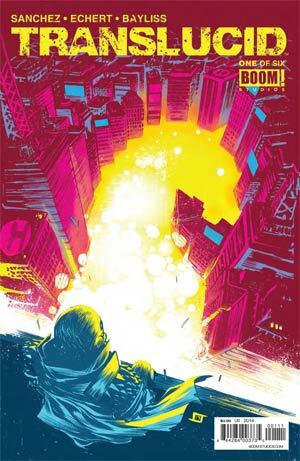 Comics team behind Kill Audio and Key of Z, and artist Daniel Bayliss comes this latest examination into the classic never-ending battle between two arch-nemeses. It’s been posited before in comic books that the line between hero and villain is a thin and hazy one, and this story delves deeper into the difference between the moral choices that mark out the uncertain terrain of right and wrong. The Horse and The Navigator have been enemies for years, but even the Horse can see his rival’s morals are slipping. Somehow deciding he can’t let that happen, he takes the decision to delve deeper in the psyche and subconscious of the man who’s been fighting him – and explore the twisted tale of loss and childhood dreams that made him into that man. Because in this world of dark pasts and blurred boundaries – what sort of person would choose to be a superhero? 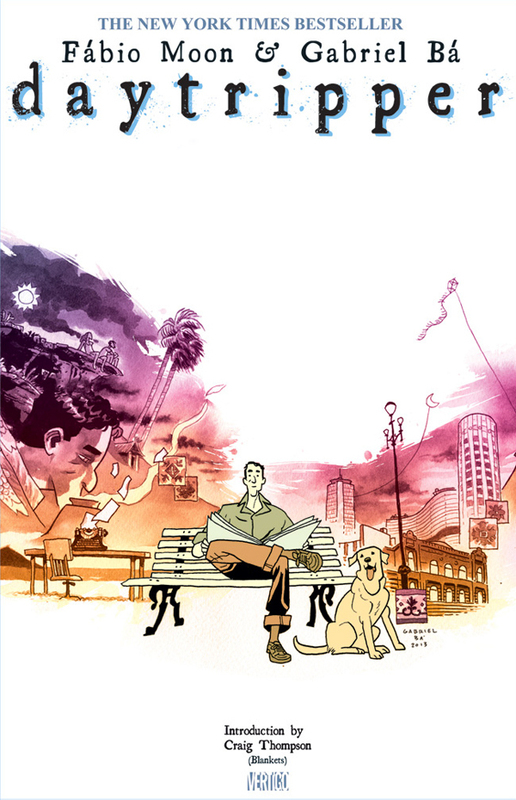 When Chris Pitzer picks up a title for his AdHouse Books imprint, you know it’s got to be worth a look. 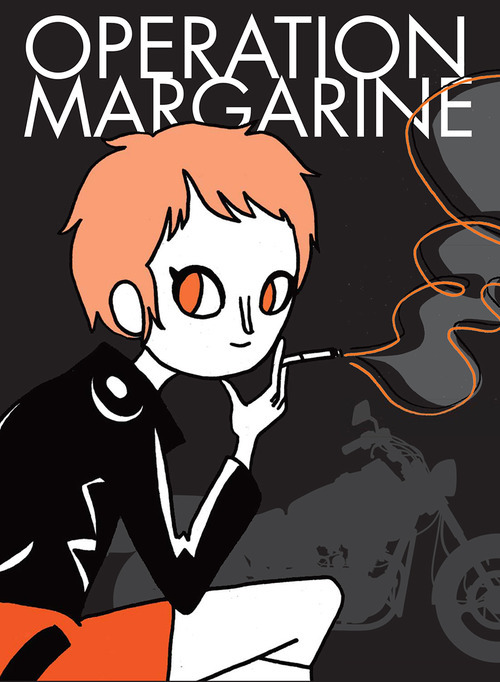 The latest addition is the collected and completed edition of Operation Margarine by Katie Skelly, a (relative) veteran of the alt-comics scene who’s been publishing the story as a series of lovely screenprint-covered mini-comics. Skelly’s distinctive style mixes apparent simplicity and cuteness with a gritty eye for action and character. The story is your everyday mix of girls-on-the-run and Barthesian (?) 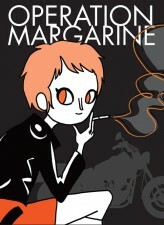 cultural analysis, as Margarine (“rich girl runaway”) and Bon-Bon (“trouble tuff girl”) jump on a pair of motorbikes and hit the road, getting away from the mean streets of the city to the almost alien desolation of the desert. Complications ensue. What are the most important days of your life? Fabio Moon and Gabriel Bá answer that question in this new deluxe edition hardcover of the hit 10-issue miniseries that won praise from such comics veterans as Terry Moore, Craig Thompson and Jeff Smith. Follow aspiring writer Bras de Oliva Domingos as each chapter of Daytripper peers in at a completely different moment in his life. Moon and Bá tell a beautifully lyrical tale chronicling Domingos’s entire existence – from his loves to his deaths and all the possibilities in between. This deluxe edition comes with a wraparound dust jacket featuring a new cover by Gabriel Bá. It also includes a three piece case, higher quality stock for the interior pages, and sixteen page sketchbook section with art by both Bá and Moon. 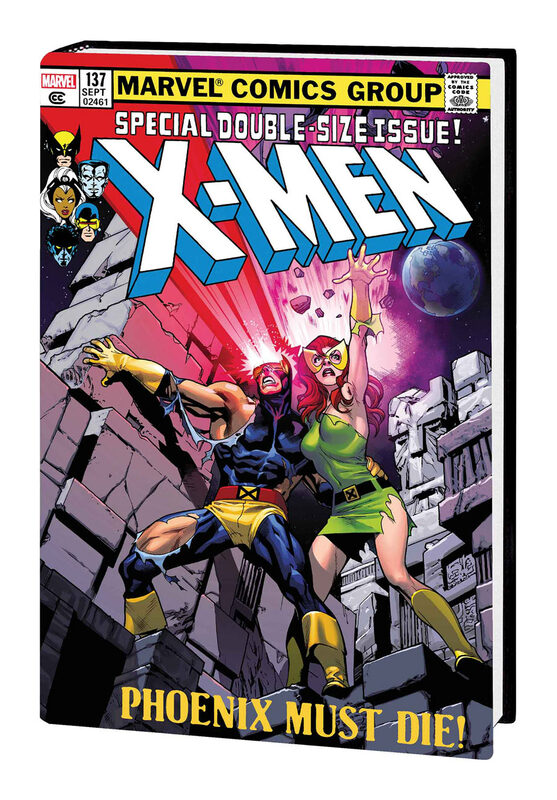 If you’re new to the X-Men, jumping on board because of your enjoyment of Brian Bendis’ All-New X-Men, this omnibus collection is a great place to read about the most important time period in X-Men history. And if you’re that type of newbie, who is also looking forward to the upcoming Days of the Future Past-inspired movie, then this collection is absolutely perfect for you. 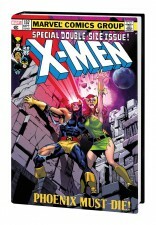 The second omnibus collects, among other stories, The Dark Phoenix Saga and Days of the Future Past. The collection is, of course, written by legendary X-scribe Chris Claremont. The first half of the stories feature art by John Byrne, at the top of his game. Even if you’re not a newbie, this might be the perfect time to go back to these classic stories. This run is among the most celebrated superhero runs after all. BBC Documentary Answers the Big Question: What Does Frank Quitely Do All Day?